KUALA LUMPUR: Over the weekend of Sept 4 and 5, Malaysian home-buyers parted with £785,000 (RM3.7mil) for a one-bedroom 530 sq ft apartment and about £2mil (RM9.6mil) for a 1,500 sq ft three-room apartment in prime London. 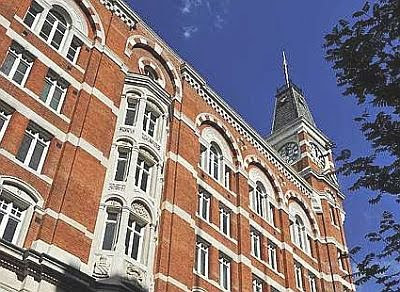 The yet-to-build project in Kensington High Street, considered a prime London location opposite the Hilton chain, was also exhibited in Hong Kong and Singapore. The average price for the project is £1,400 per sq ft. This project by Berkeley Homes is one of the most expensive to be brought into Kuala Lumpur. They are working with Malaysian agent Henry Butcher. Berkeley is London’s largest volume house builders. In the next several months, other house builders like Land Securities Group Plc and Native Land will also be making their way into Kuala Lumpur. They will be working with Rahim & Co.
An earlier property offering, The Sugar House apartments, by Berkeley Homes. The yet-to-build Kensington High Street project by Berkeley Homes is one of the most expensive brought into Kuala Lumpur. They are working with Malaysian agent Henry Butcher. Berkeley is London’s largest volume house builders. Land Securities will be offering Wellington House, which is located 500m from Buckingham Palace. The average price per sq ft for this project is £1,300. A 650 sq ft one-bedroom unit is £650,000. Next month, Native Land will be offering the third block of Neo Bankside which averages about £1,300 per sq ft.
Two earlier blocks were sold for about £1,150 per sq ft last year. In what may be a sign of the shifting balance of wealth in the global economy, British house builders are increasingly making their offerings available to Asia even before launching them in Britain. Although house-builders have been aggressively selling in the Middle East, China and India, Singapore and Hong Kong, the last two years have seen them explore the new markets of Malaysia, Thailand and Vietnam. House-builders used to skip Kuala Lumpur because “there wasn’t a market to serve”, said Berkeley group managing director Paul Vallone. This has changed over the last two years. There has been a fairly consistent stream of exhibitions from house-builders here. Vallone said they were beginning to see a new market in Kuala Lumpur, chiefly because of the weak pound. The British pound is trading about RM4.80 to a pound compared to its peak of about RM7 a few years ago. Berkeley is one of London’s largest volume house builders that cater to the mass market. Of the 2,000 houses it sold last year at an average price of £263,000, more than 30% were sold to China and India compared with a historic average of 10%. Said Vallone: “London property is generally supported by international money. Generally, about half of prime central London properties goes to buyers from the Middle East, China, India, South East Asia and Europe. Most of Malaysians who bought properties are buying to stay. “We are seeing a buying-to-stay market, not a buying-to-let market,” he said. Because of the price of the units in the Kensington project, Vallone said this was the most successful exhibition by the group in terms of gross development value. “This particular exhibition actually did better in Malaysia than in Singapore,” he said. Berkeley Homes would be building the project with joint-venture partner Prudential. Vallone said builders are beginning to look for international buyers because there is a lack of financing for British buyers who normally go for 90% financing when buying off the plan. “Banks are not lending to this group at the moment,” he said. In a report in Financial Times (Aug 30, 2010), Berkeley Group CEO Rob Perrins said the demand from Asian buyers, who want to invest offshore, or who want a place for their children to live in while undergoing tertiary education, has no match for the domestic British market. Telford Homes, the east London focused-group, said the appetite from foreign buyers had allowed it to launch developments that would not have been possible to sell to domestic buyers. This year, the group sold 70 out of 118 apartments in its Matchmakers Wharf development, which flanks the Olympic Park to buyers in Hong Kong, Singapore and Malaysia. Property consultant Elvin from Khong & Jaafar Sdn Bhd suggests caution. “Unless Malaysians are buying for their own stay or for their children, I will not advise it. “House prices are expected to come down further because the entire country is on a major austerity drive. “The economy is being reshaped. There is a major readjustment in the United Kingdom and the United States. So if you rush in now, during this cyclical period, you may be in for trouble. “However, you can go and buy commercial properties like office space where there may be an annual yield of 7.5%. There are some good properties in London. Maybe this is the time to buy. But for the residential sector, be cautious,” Elvin said. In an August residential sector report, UK-based Jones Lang La Salle said Britain faced a “choppy” recovery. For every four would-be purchasers, agents were listing 10 new properties for sale. The current supply and demand dynamics are a reversal of fortunes for the British housing market lacking sufficient stock for the majority of the past 18 months. With supply increasing, and decreasing demand for houses, house prices were slowing down, the report said. The property consultancy expects prices to remain weak throughout the remainder of this year, with the market stabilising in the latter part of 2011.